V12 Stampede Vintage Leather Dealer Boots. Crafted from vintage leather the Stampede is a very special dealer boot. All seams are triple stitched with a heavy guage contrasting thread. 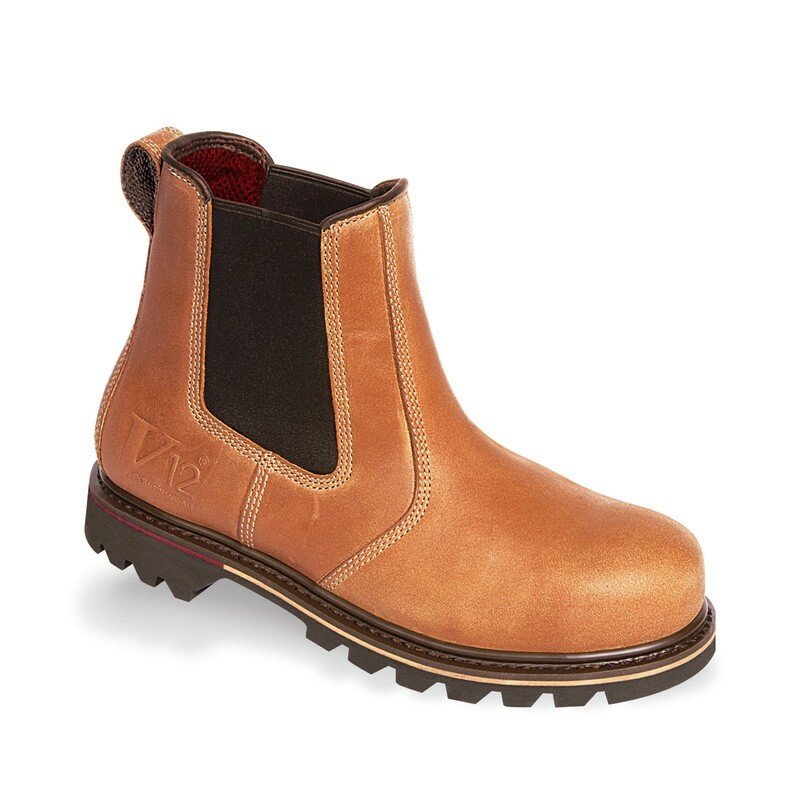 The back strap is constructed from a single piece of hide and riveted for extra strength. Full grain "Vintage" cow hide leather - durable, water resistant and breathable. Heavy duty triple stitching, reinforced pull-on loop & double thickness elastic. Airtex lining, highly breathable - coller in the summer but warmer in the winter. Wide fitting corrosion resistant steel toecap. Resistant to 200 joules. Heat resistant to approximatley 300°c. Powerflex sole - excellent flexibility and anti-fatigue properties.